communicate your brand, retain members, attract new ones and increase sales. Apps have become an integral part of our lives. Your members want easy and fast access to news, information and bookings 24/7 wherever they are. 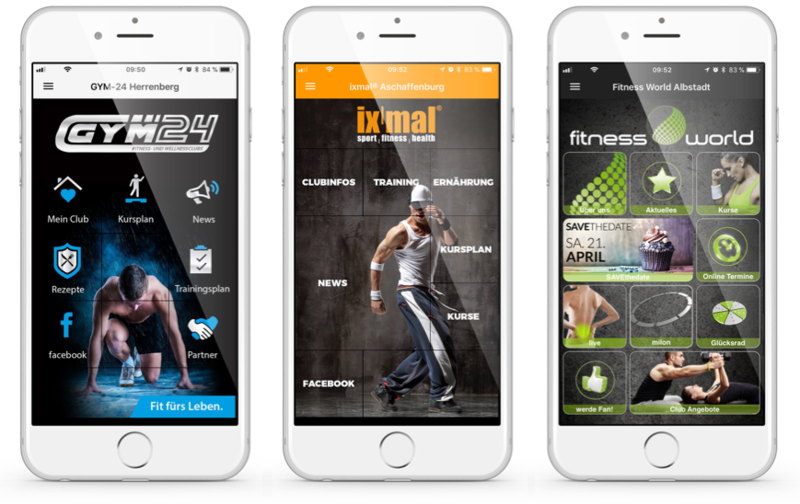 With your app from myFitApp it’s easy for them to get the most out of your facilities and achieve their fitness goals. 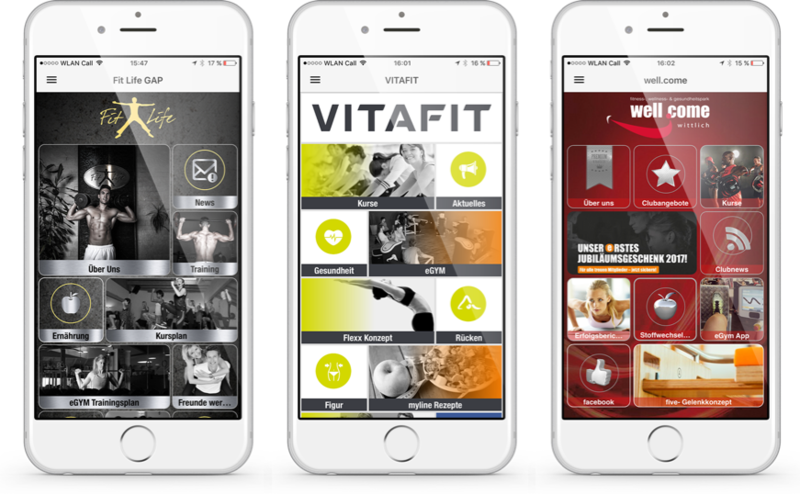 With myFitApp you get your own branded app, customised for the services at your gyms.The design and contents are changeable by you, any time, as often as you like, using our intuitive web cockpit. 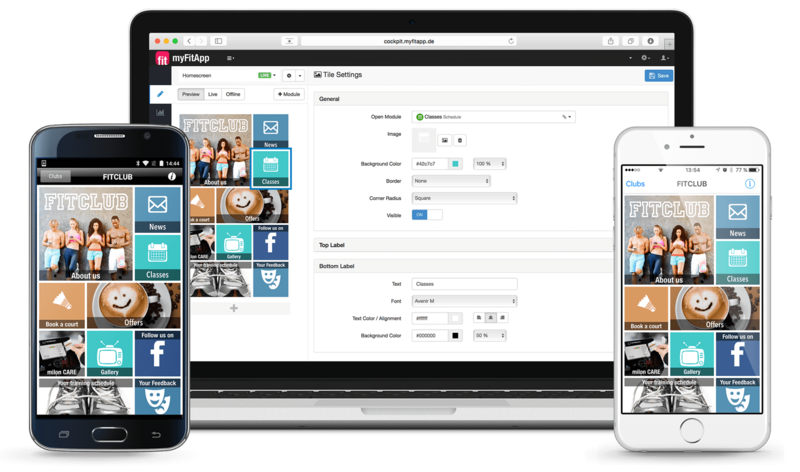 Designed for non-technical users, it’s super-easy to keep your members up-to-date. Leading Leisure Operators from hundreds of sites down to single sites, both Public Sector and Private. The right solution for everyone. Engaging, rich News with Push Notifications you publish, anytime. 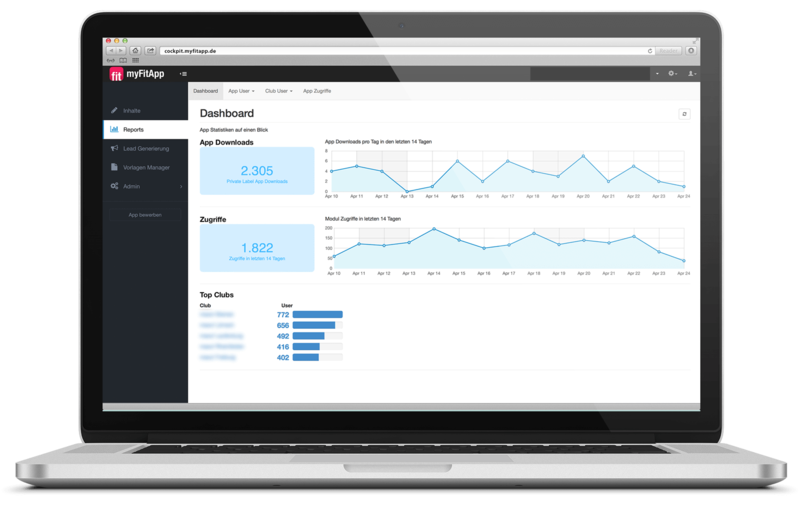 Get an immediate, trackable response to both marketing and service messages. Just like a personal call, only better. New technology is appearing all the time. 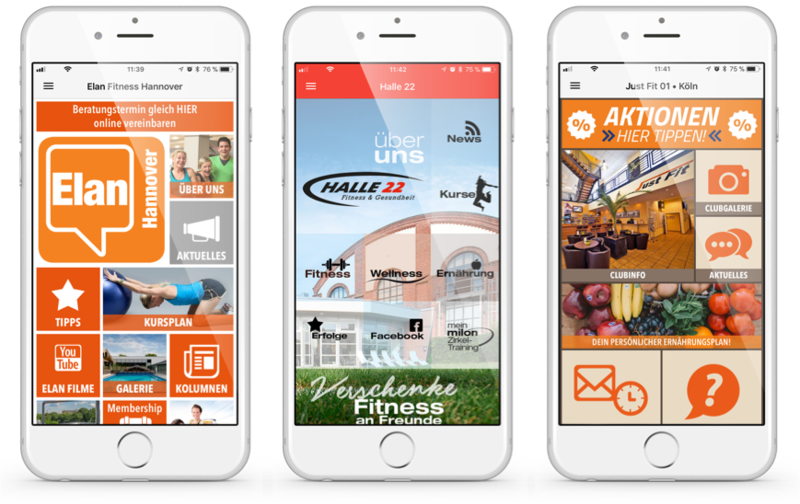 Thanks to standardized interfaces, you can integrate these simply and quickly so you members have everything in one place, your app. 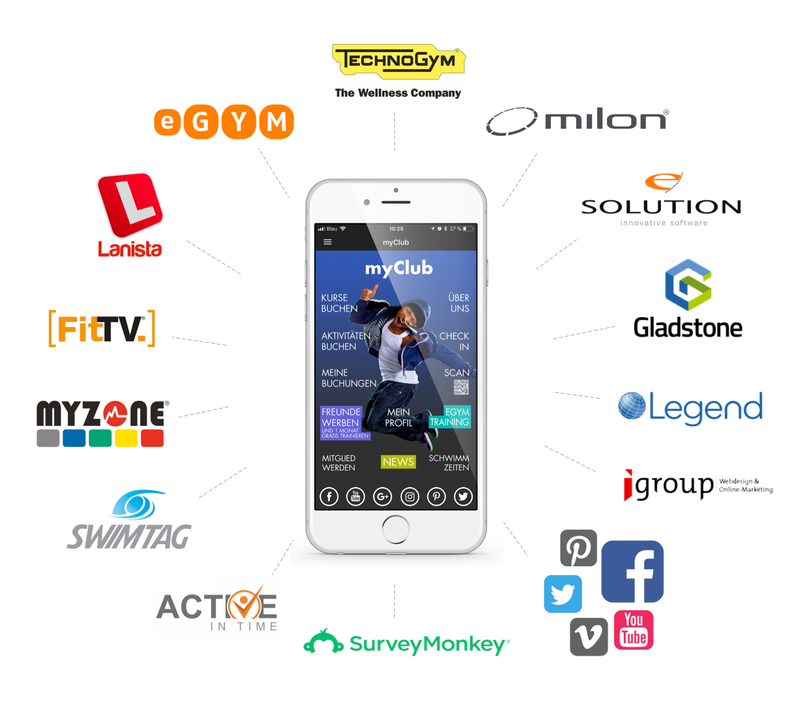 Your members only need to download one app, yours. They can find everything they need there and don’t have the hassle of finding 3, 4 or 5 apps. your app is future-proof, so you can easily incorporate the next thing when it comes along. Don’t put up with an app that promotes your equipment supplier’s brand and forces you to use boxy icons. 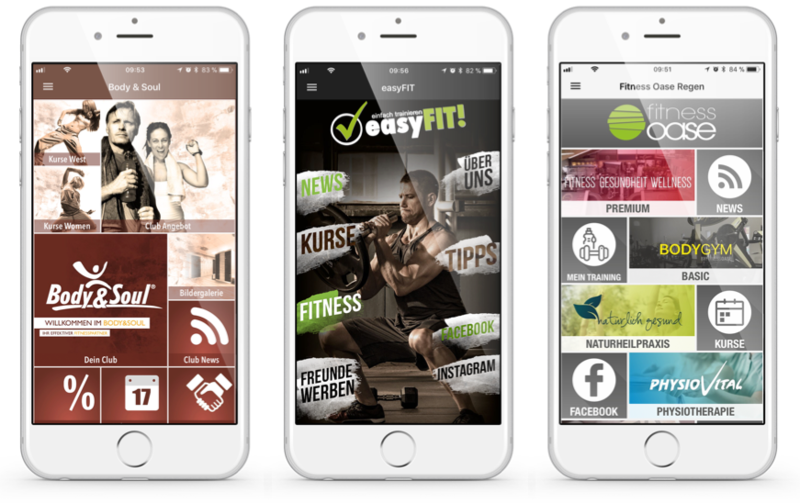 With myFitApp you control every aspect of your app branding and can change it as often as you like. Our built-in, tracked, refer-a-friend module gets amazing results though seamless integration with the phone. 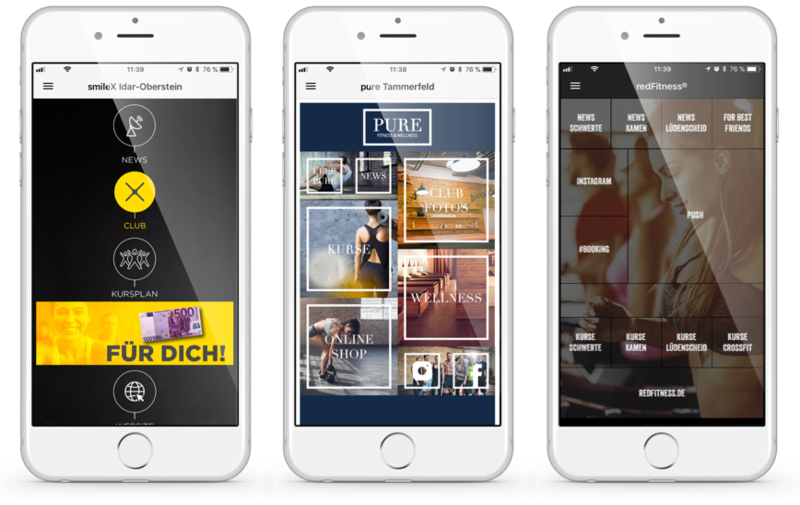 It delivers a continual stream of high-quality leads automatically, without any on-going marketing effort, resulting in up to 20x ROI on the app. Control and monitor your app – even from your sofa ! 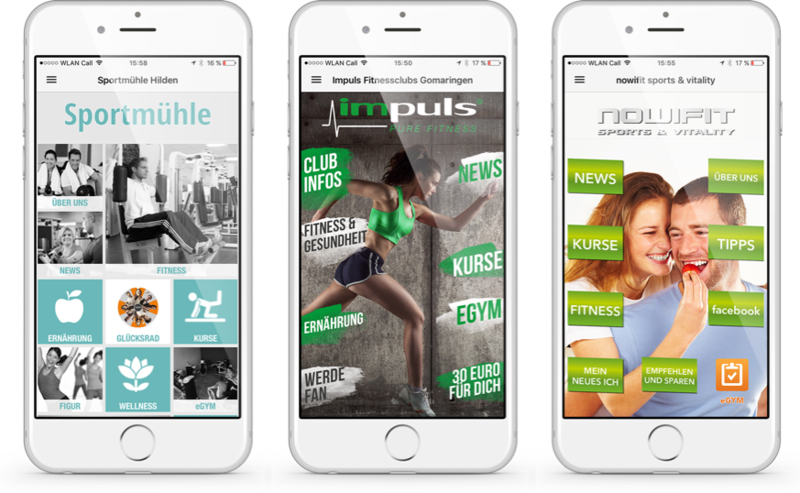 Publishing an app which your members can download for free and makes it quick and easy to get the best from your gym gives your brand a big boost. 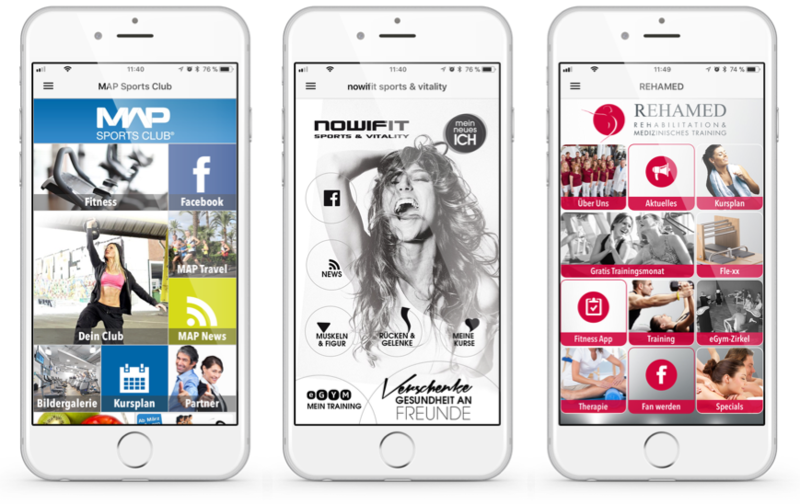 Members will be more engaged, more likely to achieve their fitness goals and stay loyal to you, great for your business. GYMS AND THEIR MEMBERS LOVE US! 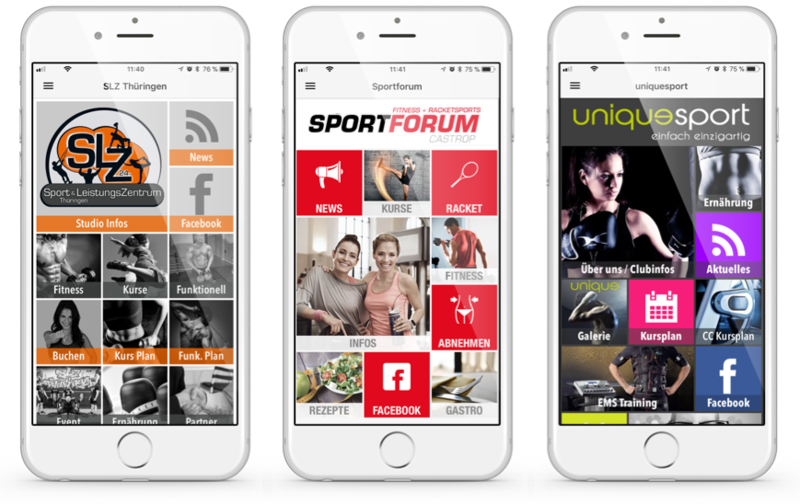 Learn how a gym app can revolutionize your member communications in a personal online shared-screen session. Ask as many questions as you want. We're here for you personally.